Proton nuclear magnetic resonance (NMR) techniques, such as field-cycling relaxometry, wide-line NMR spectroscopy, and magic angle spinning NMR spectroscopy, were applied to study the seeds of cress, Lepidium sativum. Field-cycling NMR relaxometry was used for the first time to investigate the properties of the whole molecular system of dry cress seeds. This method not only allowed the dynamics to be studied, but was also successful in the differentiation among the solid (i.e., carbohydrates, proteins, or fats forming a solid form of lipids) and liquid-like (oil compounds) components of the seeds. The 1H NMR relaxation dispersion of oils was interpreted as a superposition of intramolecular and intermolecular contributions. The intramolecular part was described in terms of a Lorentzian spectral density function, whereas a log–Gaussian distribution of correlation times was applied for the intermolecular dipole–dipole contribution. The models applied led to very good agreement with the experimental data and demonstrate that the contribution of the intermolecular relaxation to the overall relaxation should not be disregarded, especially at low frequencies. A power-law frequency dependence of the proton relaxation dispersion was used for the interpretation of the solid components. From the analysis of the 1H wide-line NMR spectra of the liquid-like component of hydrated cress seeds, we can conclude that the contribution of oil protons should always be taken into account when evaluating the spin–lattice relaxation times values or measuring the moisture and oil content. The application of 1H magic angle spinning NMR significantly improves resolution in the liquid-like spectrum of seeds and allows the determination of the chemical composition of cress seeds. 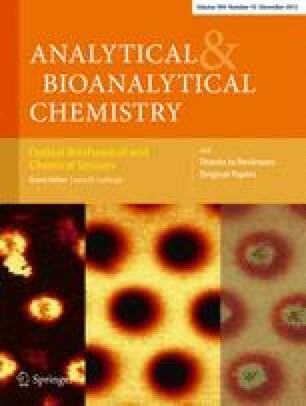 The authors thank Joanna Starzyk from the Faculty of Mathematics, Physics and Computer Science of Maria Curie-Skłodowska University in Lublin and Magdalena Cichocka from the Faculty of Physics of Adam Mickiewicz University in Poznań for their technical assistance with NMR measurements..